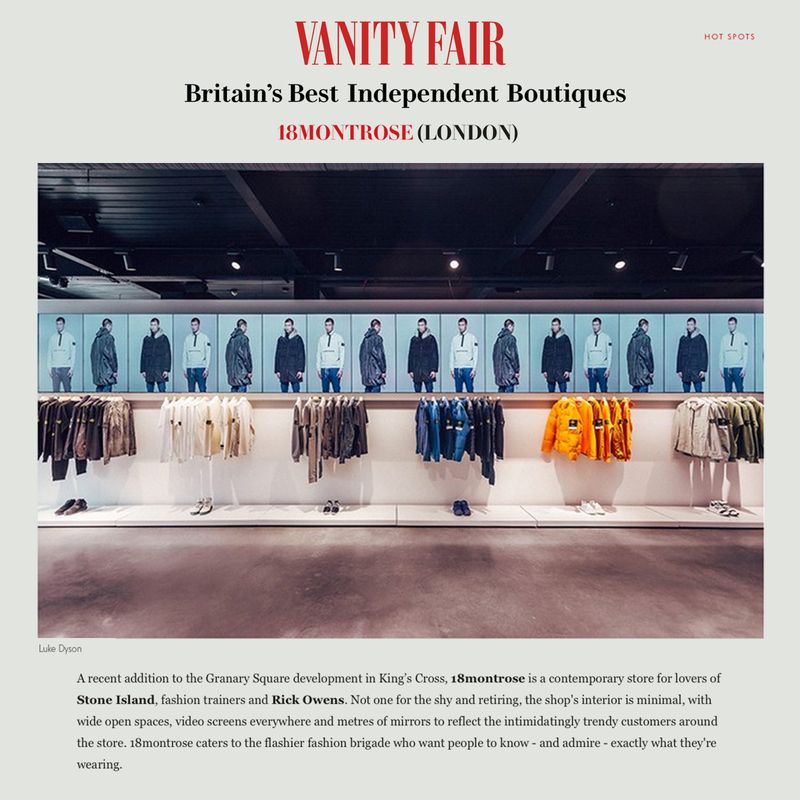 "Not one for the shy and retiring", our 18Montrose store has been featured in Vanity Fair's latest issue. 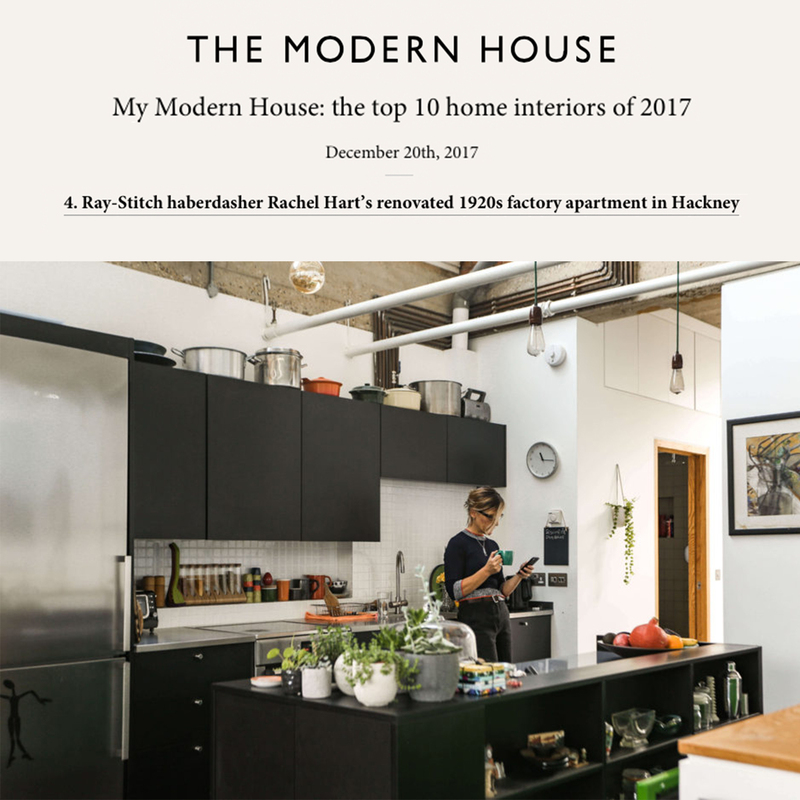 Pleased to see Rachel Hart's Hackney warehouse conversion revisited by The Modern House Interiors review for 2017. 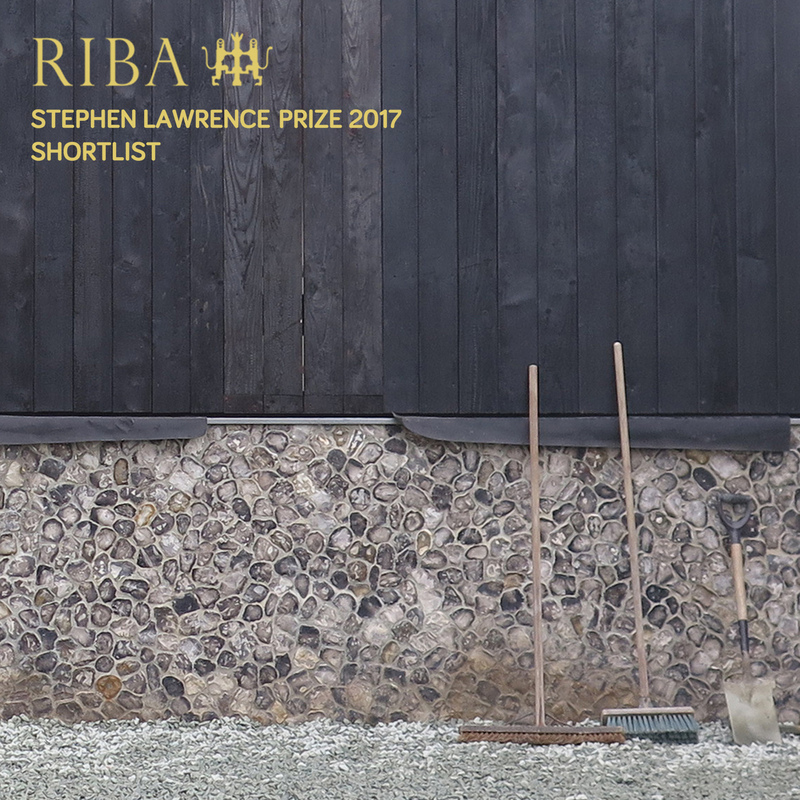 House Peacock is one of just six houses shortlisted for the 2017 Stephen Lawrence Prize. 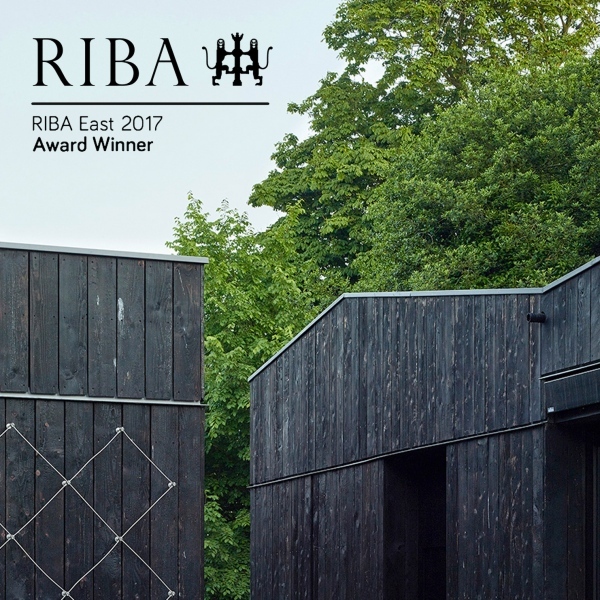 Founded in 1998, the annual prize recognises the best projects built in the UK for less than £1 million. 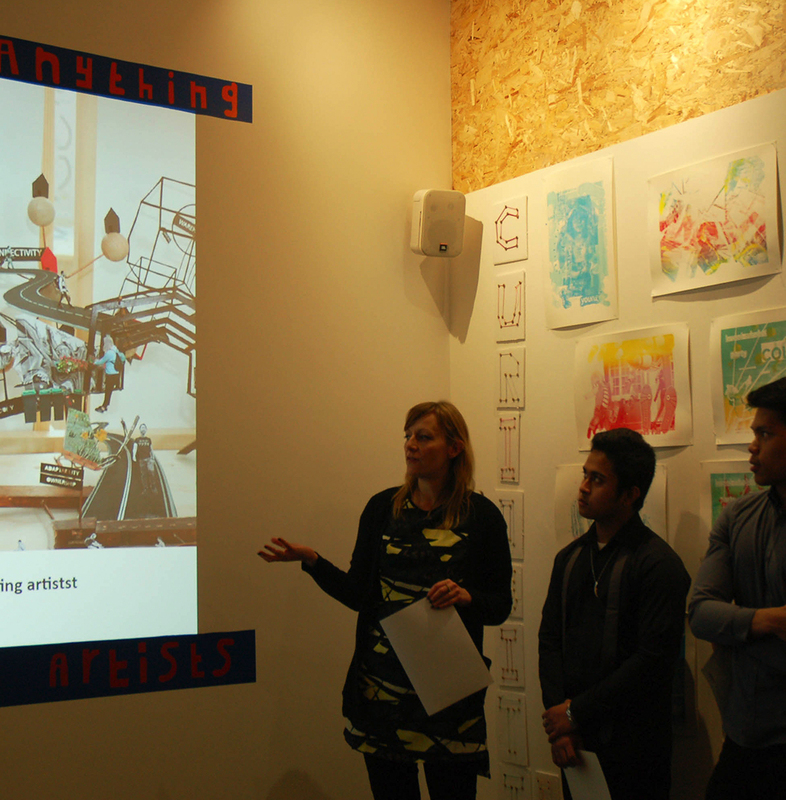 The winner will be announced on 31 October at the Roundhouse in Chalk Farm, north London. 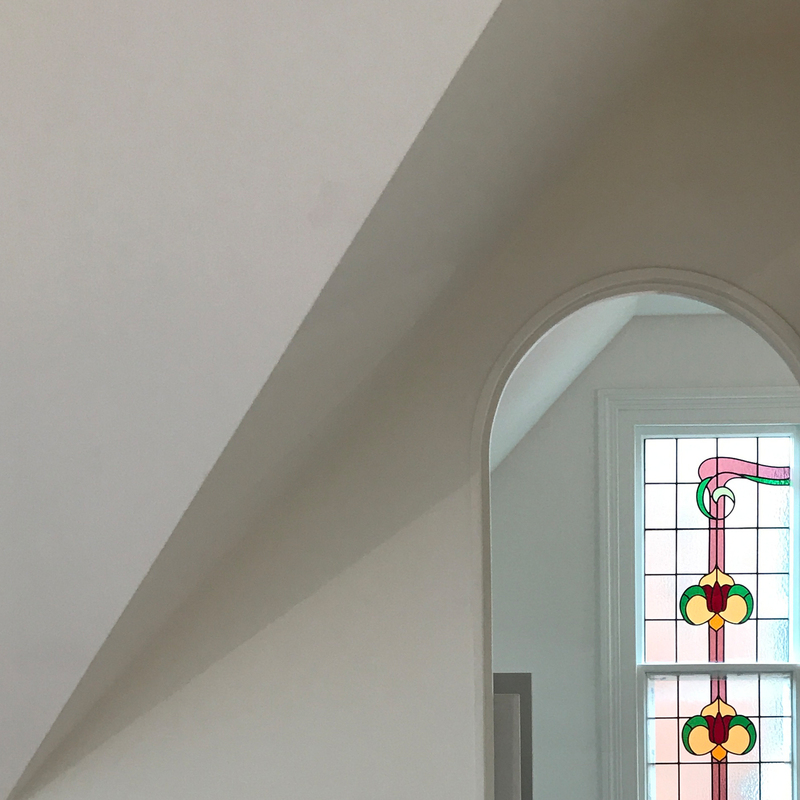 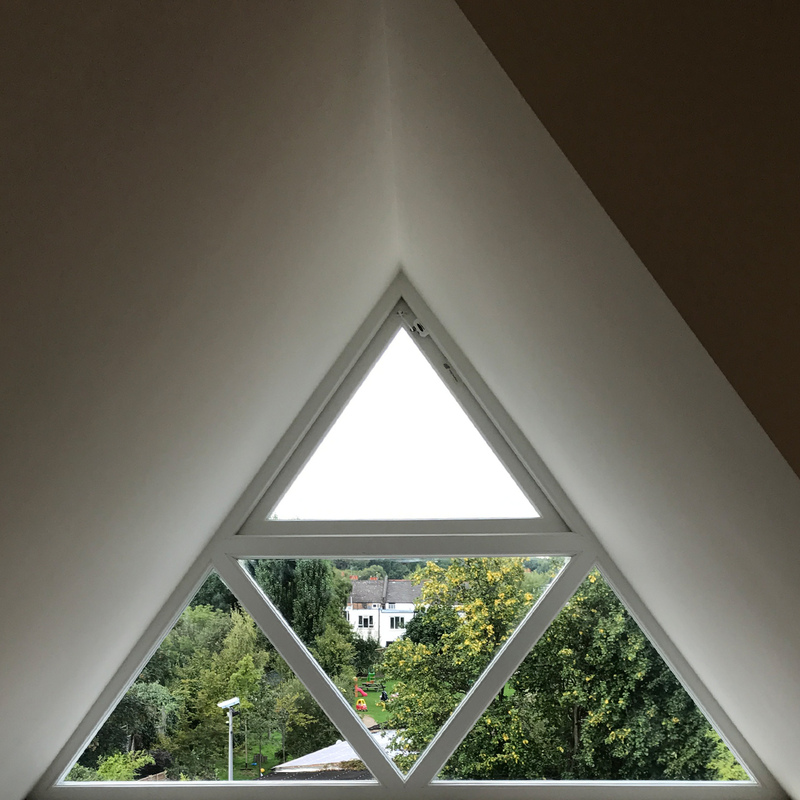 Some pleasing geometry is starting to emerge at our Priory Road project - pushing on with 6 weeks to go until completion. 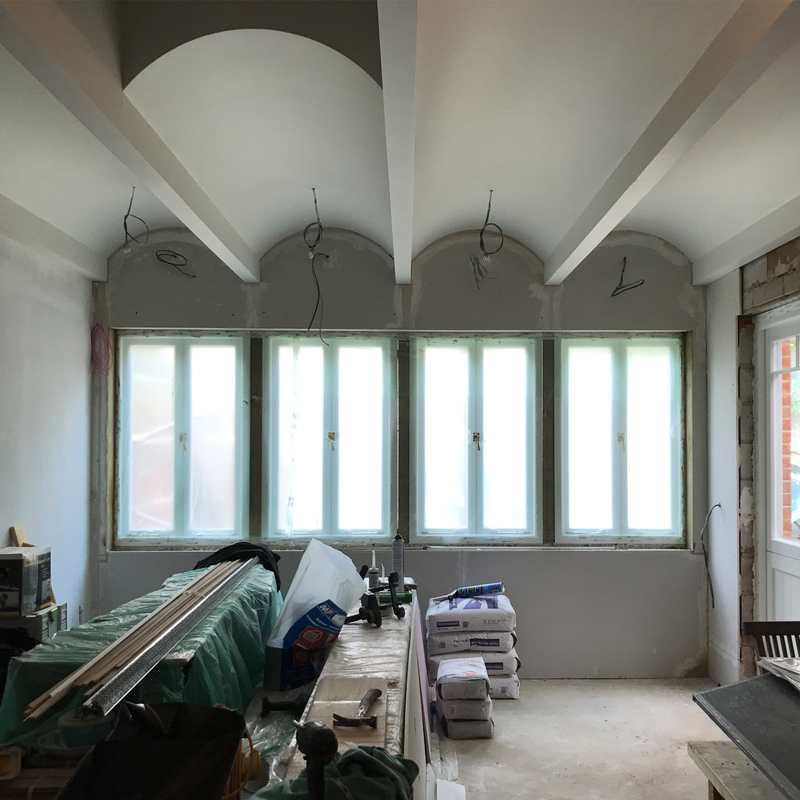 We are delighted to be working with Builders by Design on another north London residential refurbishment. 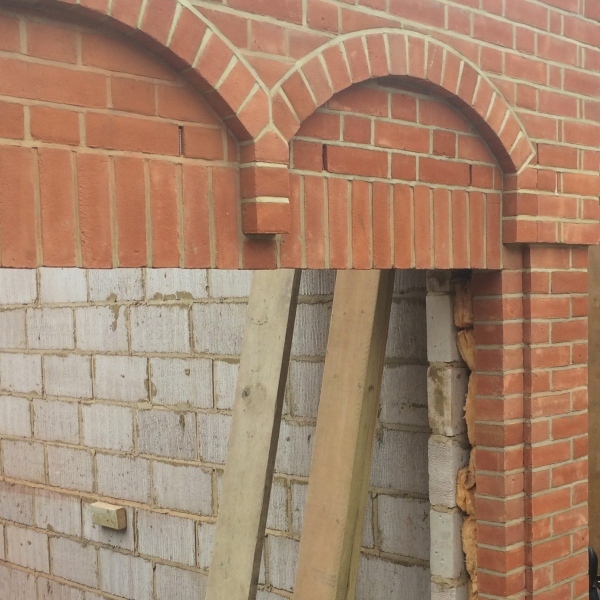 Demolition and site preparation are under way! 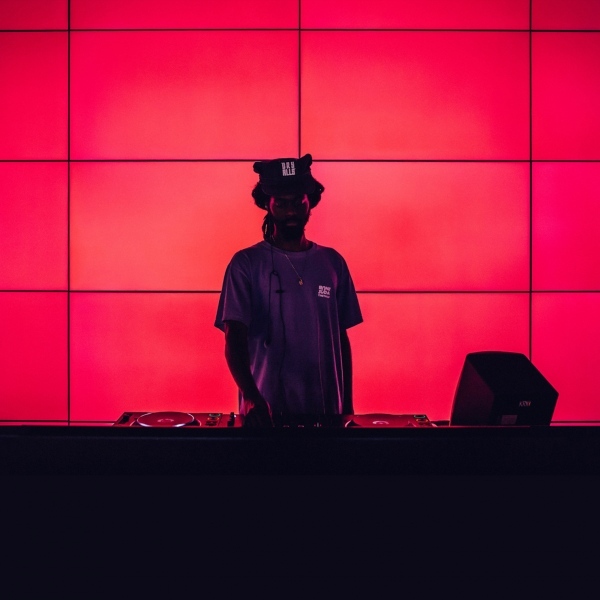 Some folks considerably hipper than us at the 18montrose flagship store in Stable Street, King’s Cross officially opened for business with a launch party featuring a host of DJs we're too old to have heard of. 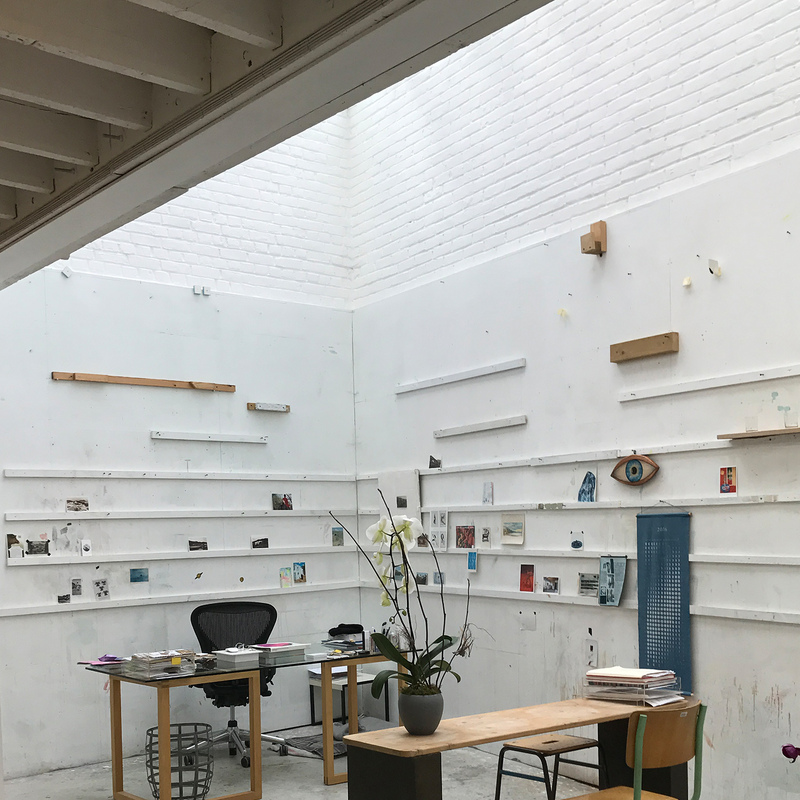 A collaboration with the inspiring Livia Lauber, works are commencing on site for a conversion of a warehouse building in E8 into a wellness space. 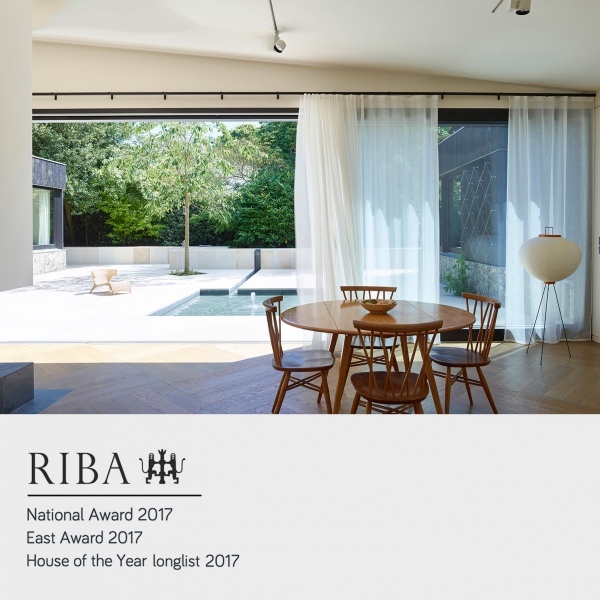 House Peacock has won a RIBA National Award, which recognises significant contributions to architecture in the UK, and has also been included in the longlist for RIBA House of the Year 2017. House Peacock has won a RIBA East 2017 Award. 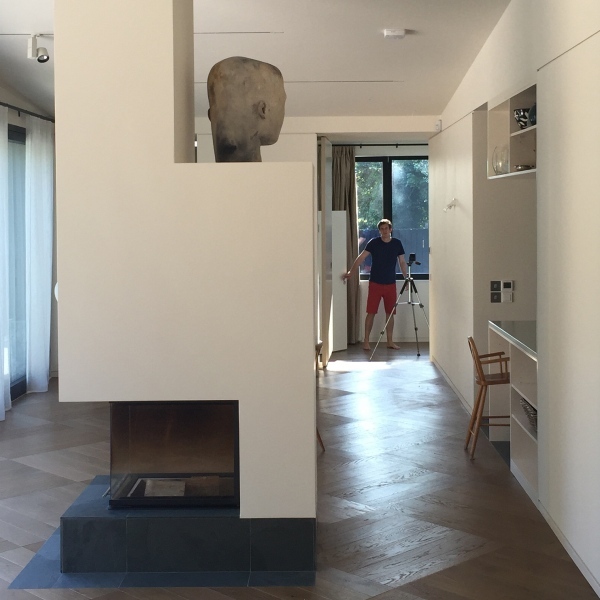 It is fantastic recognition for everyone involved, and the awards ceremony at Fitzwilliam College Cambridge was a great chance to catch up with the whole team! 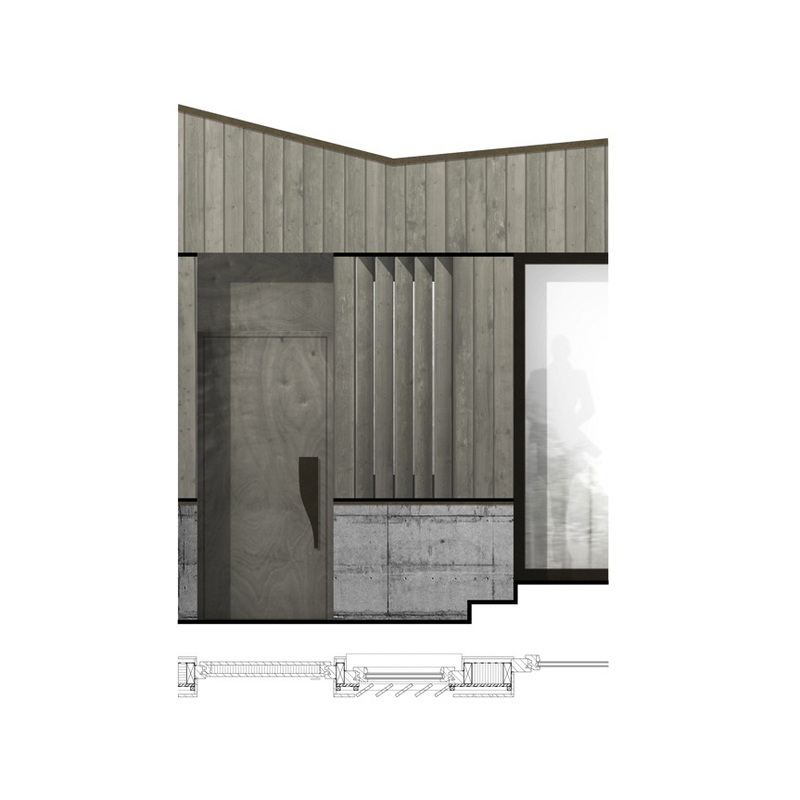 See here for the judge's well-considered write up. 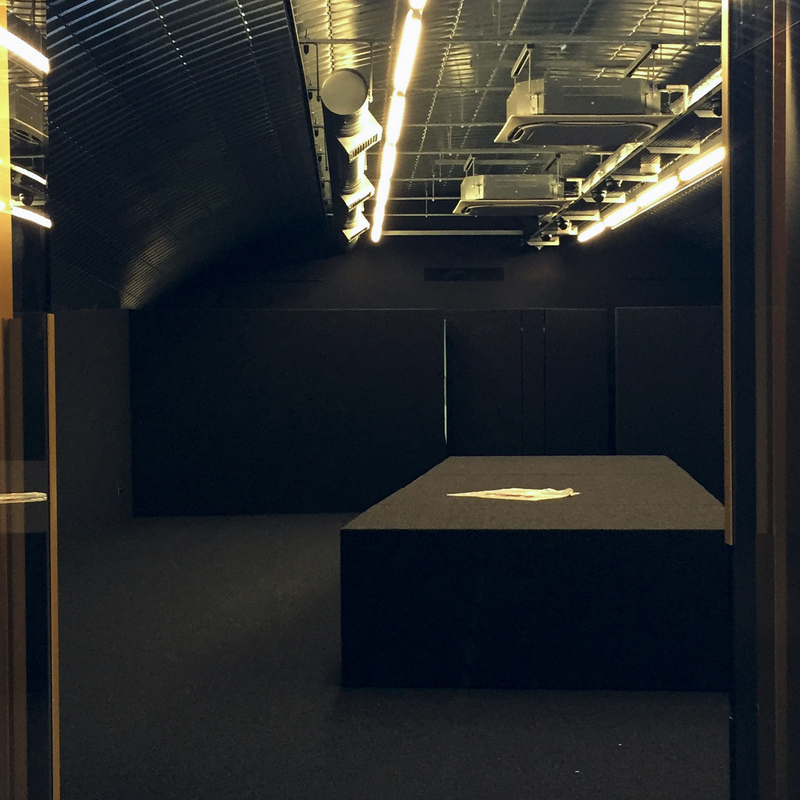 The poured concrete floor is down and the internal partitions and HVAC are up at our 400m2 retail fit-out project at Stable Street, Kings Cross, opening Summer 2017. 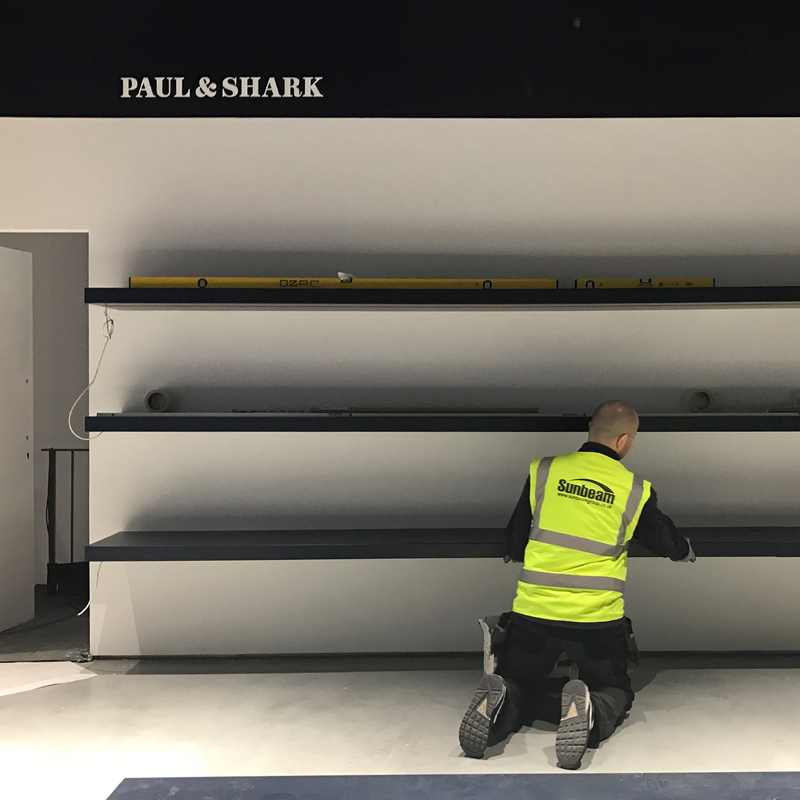 Final fix is underway at the Paul & Shark Regent Street store, ready to receive stock and open for business next week. Making good progress on site at our Priory Road Project with the rear facade brickwork coming along nicely. 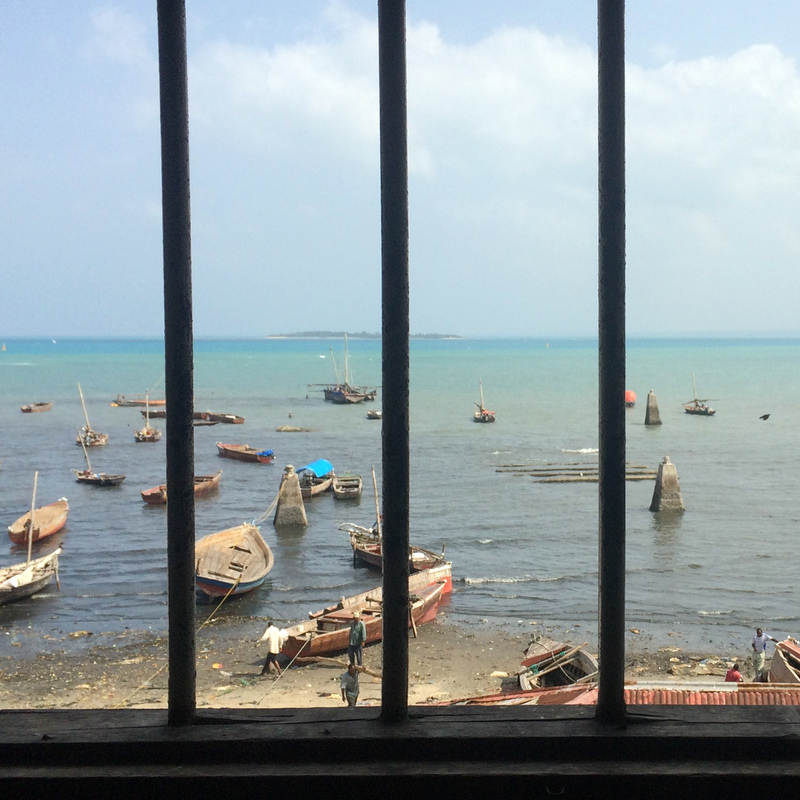 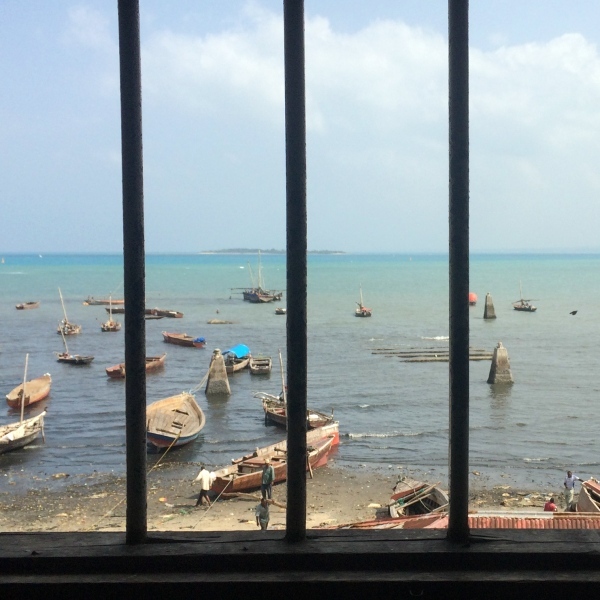 We are very excited to be back working in the UNESCO World Heritage site of Stone Town, Zanzibar and it's a pretty special view from the second floor of our Malindi House project - currently in early consultation and planning phases. 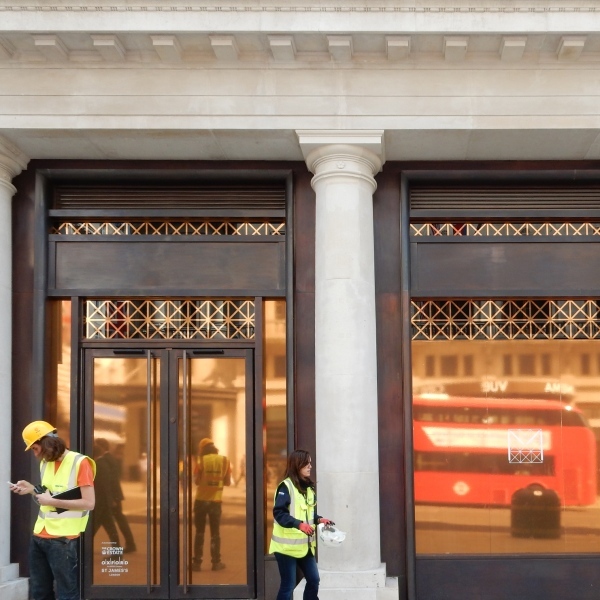 First Studio P site visit to our new Regent Street project to assess base-build progress on the unit before handover next month. 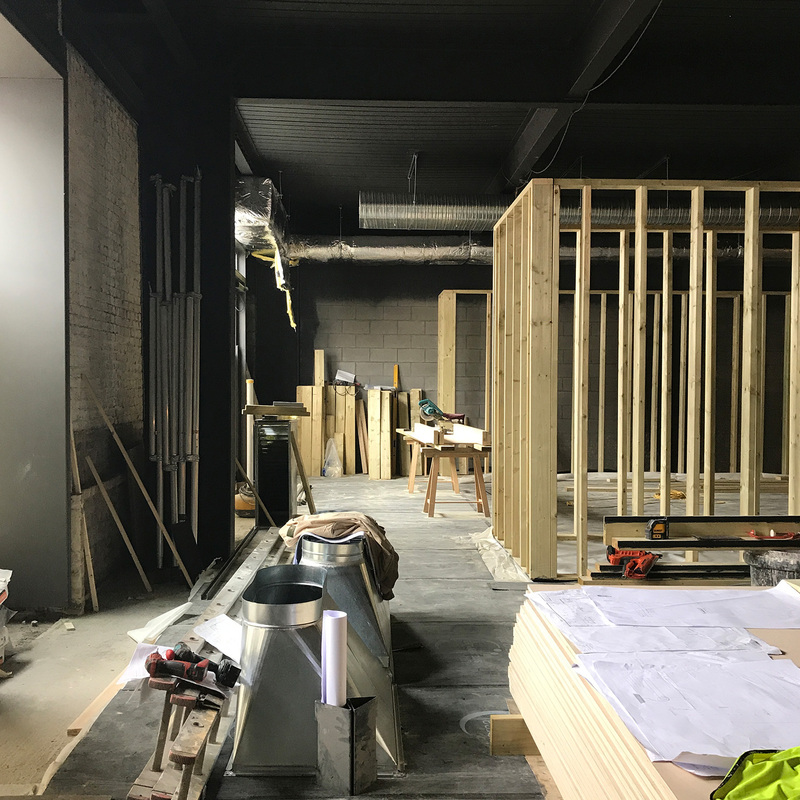 Hackney Walk has been given it's full cladding of carpet (walls, floors and furniture) and is steaming ahead towards completion. 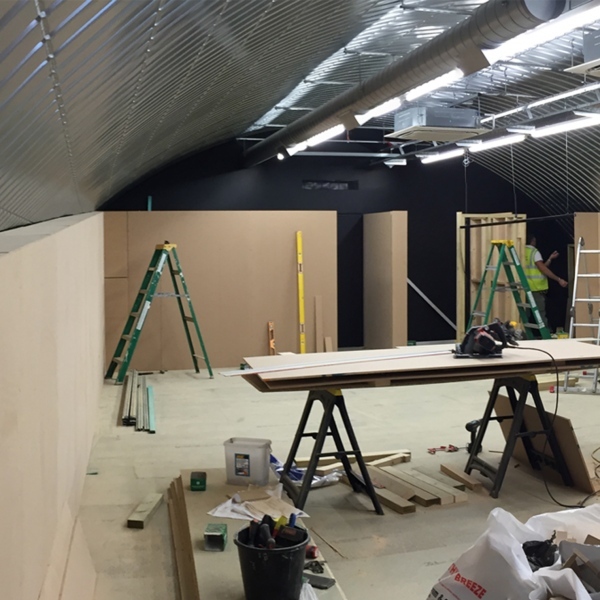 Works on-site at our Hackney Warehouse project are into their third week, with new partitions taking shape. 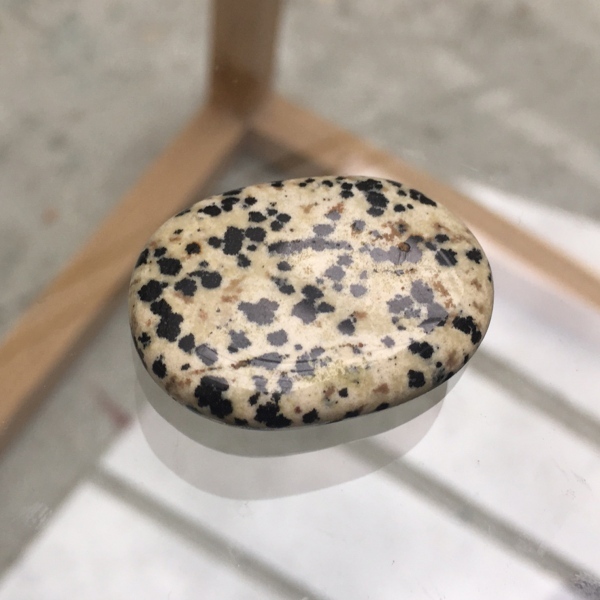 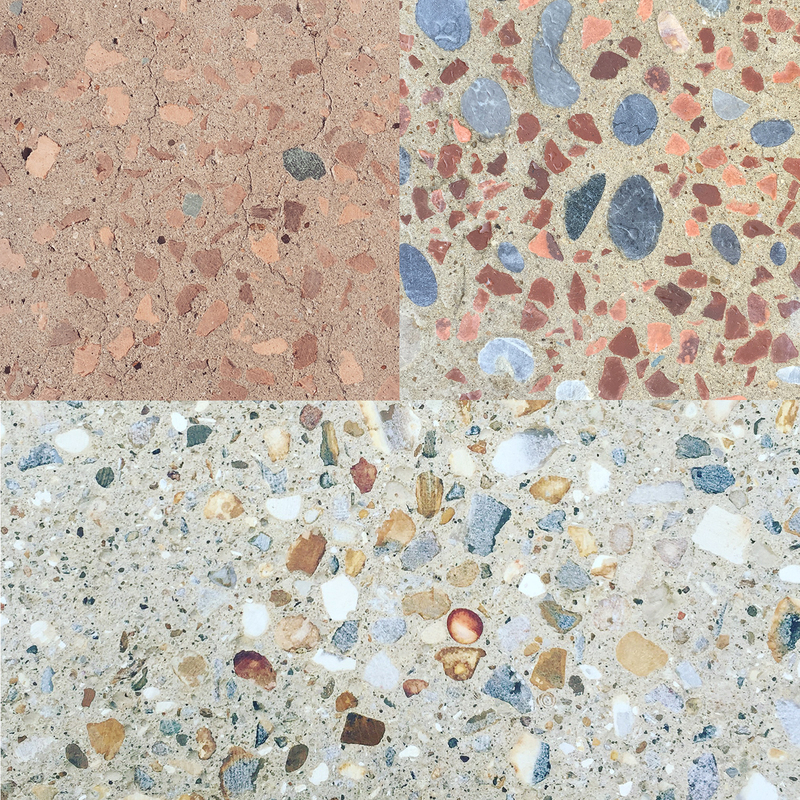 Selection of exposed aggregate concrete samples for internal/external floor finish for Priory Road. 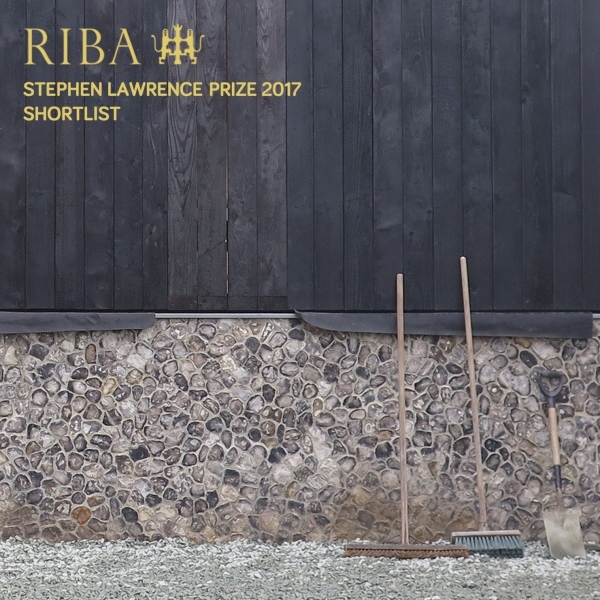 Pink granite, blue slate and thames shingle amongst the aggregates here. 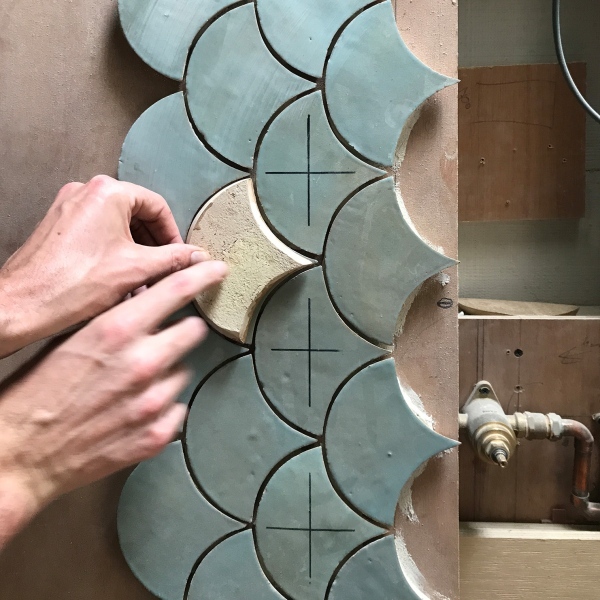 Studio trip to Aldeburgh on a hot weekend to take final pictures of House Peacock post-completion. Axel from BHSF tries his arm with the tripod. 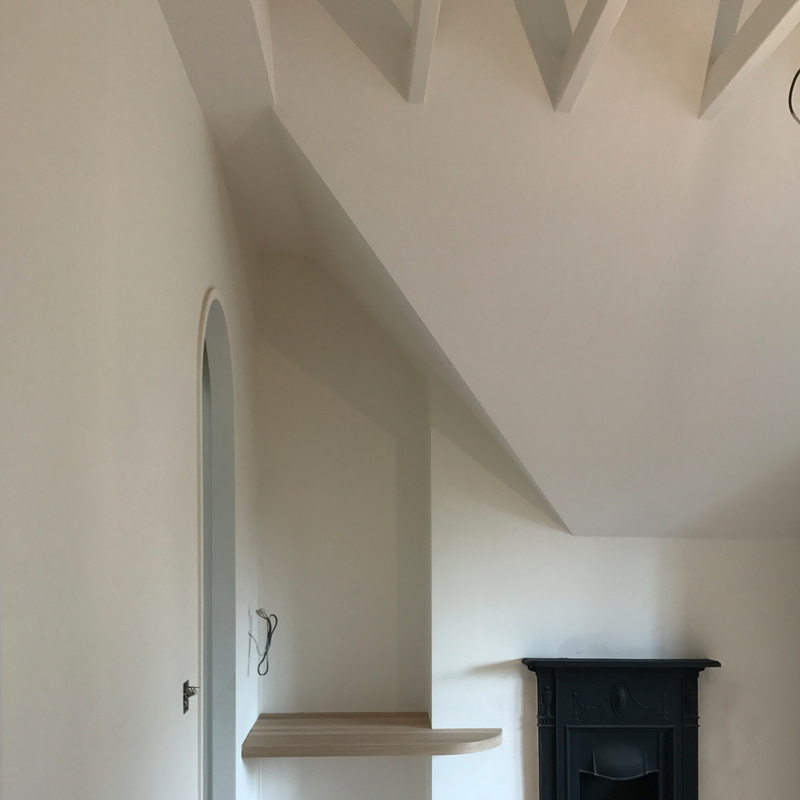 Watch this space for final images. 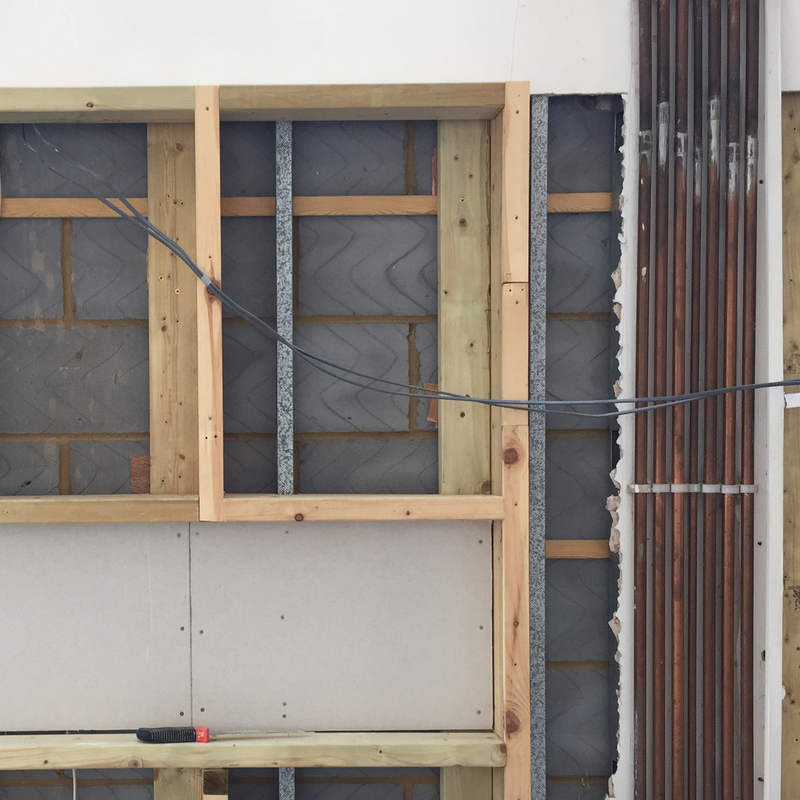 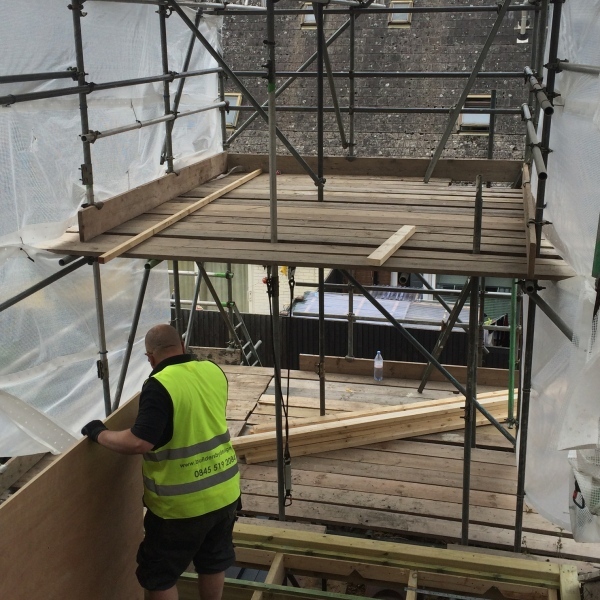 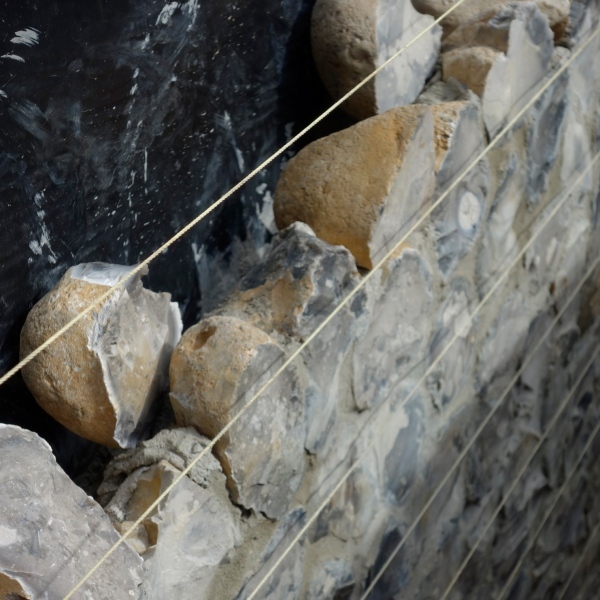 Work has commenced on-site at Hackney Walk, a clean, quiet site with the joiners making rapid progress. 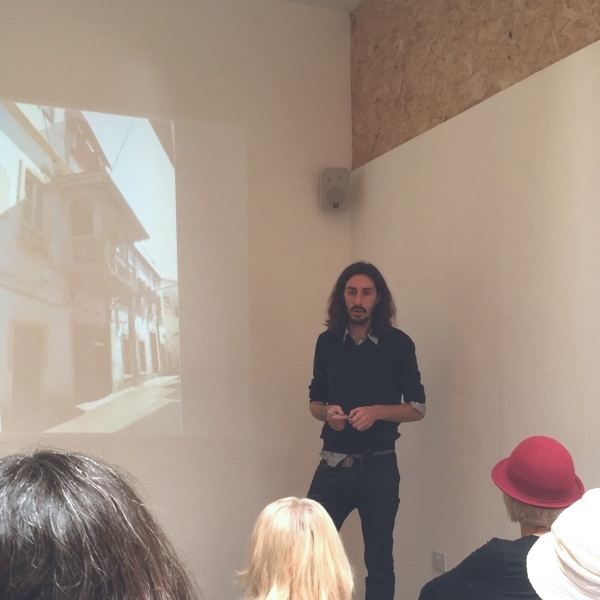 Studio-P were invited back to Cubitt to give a talk to the Islington Eyes as part of the gallery's education programme in conjunction with the Building Exploratory. 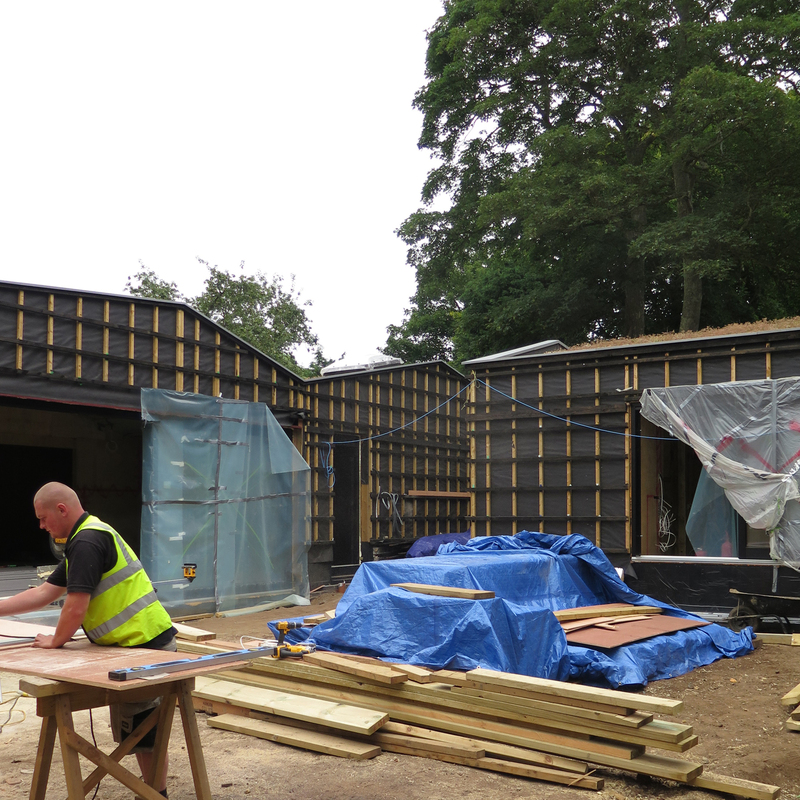 We talked them through the project, from our initial submission, procurement through to construction, as well as other Studio P projects past and present. Most enjoyable were the specific discussions around the importance of personal relationships - and a shared culture of flexibility - when delivering projects of this scale for a wide range of stakeholders. We will be back for more later in the year. 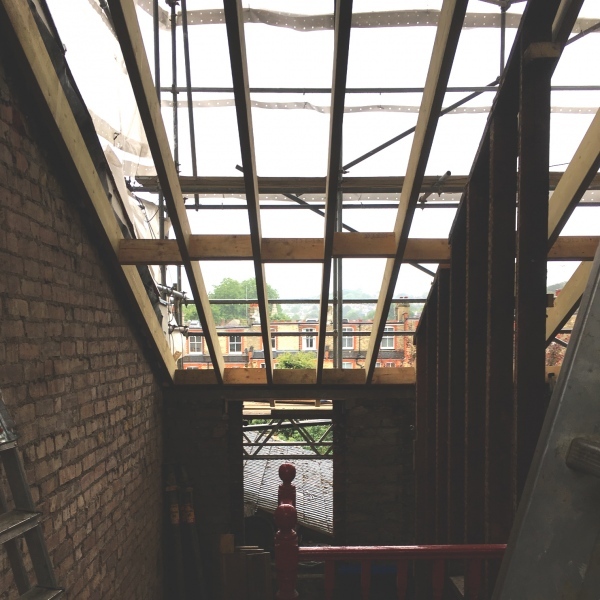 Construction has commenced on a double roof extension and internal remodeling of a 70's terraced estate in Bride Street, Islington, providing more space for a young family. 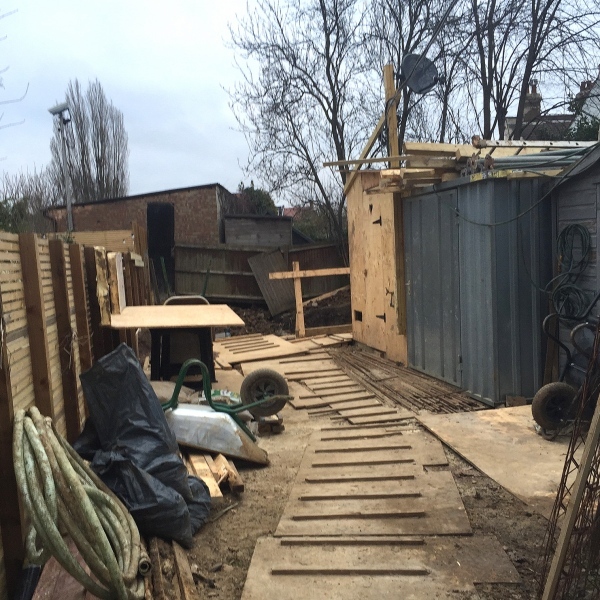 Groundworks have commenced on another exciting residential project in North London. 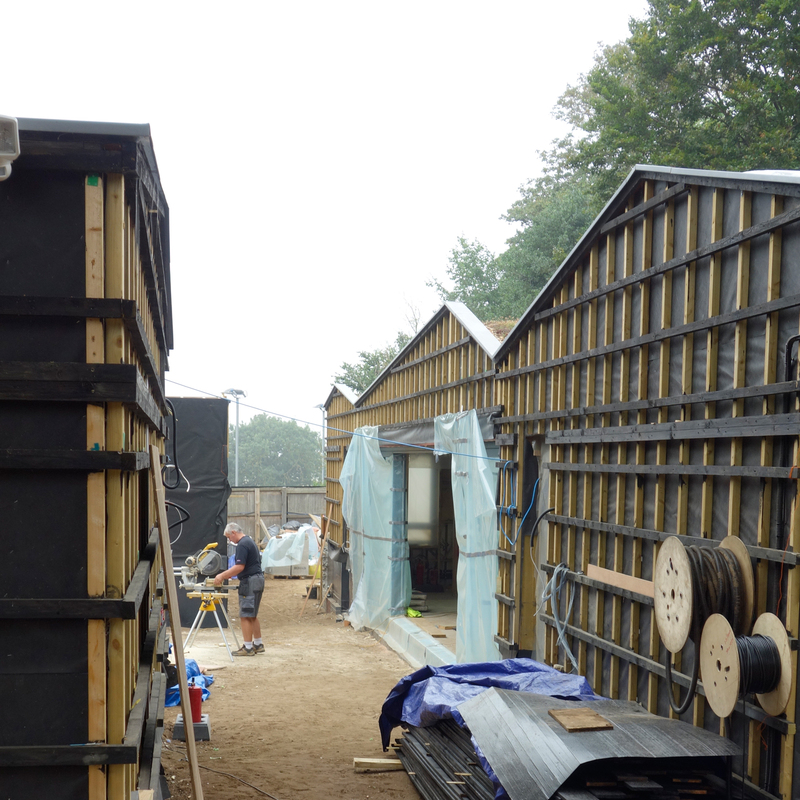 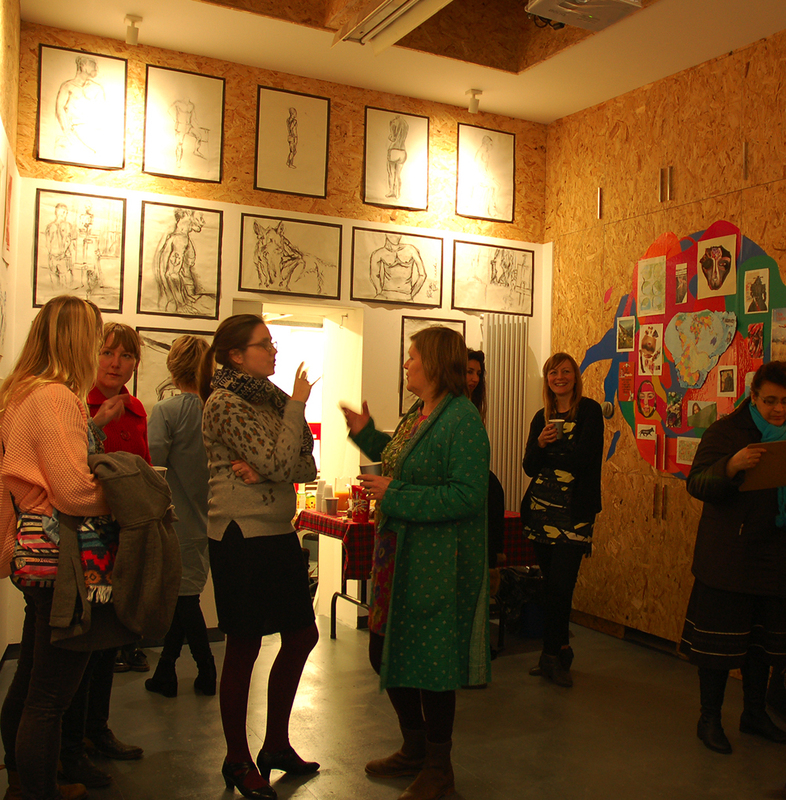 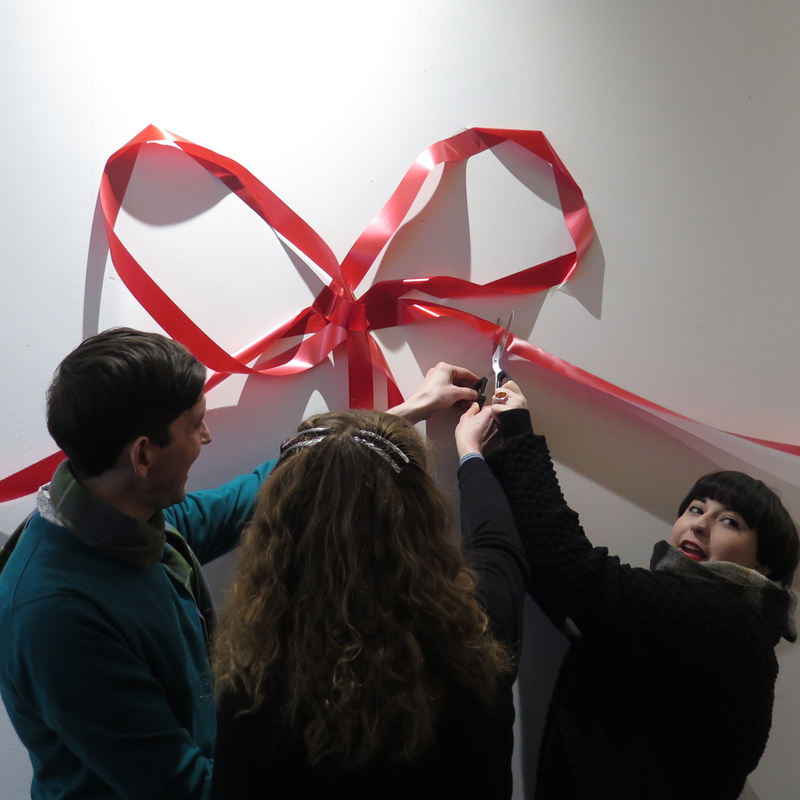 Site facilities currently bear a passing resemblance to a wild-west frontier town..
Studio-p's collaboration with Woodwork Creative has delivered a flexible education and workshop space for Cubitt Artist's - Studio 5 opened for official programming on Thursday 14th January 2016 with a ribbon-cutting ceremony. 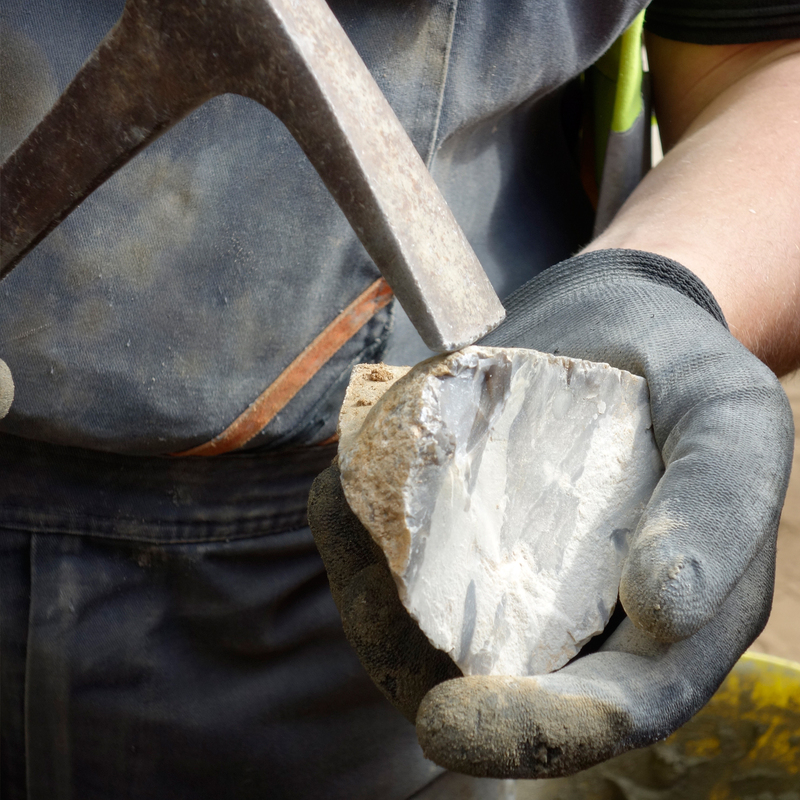 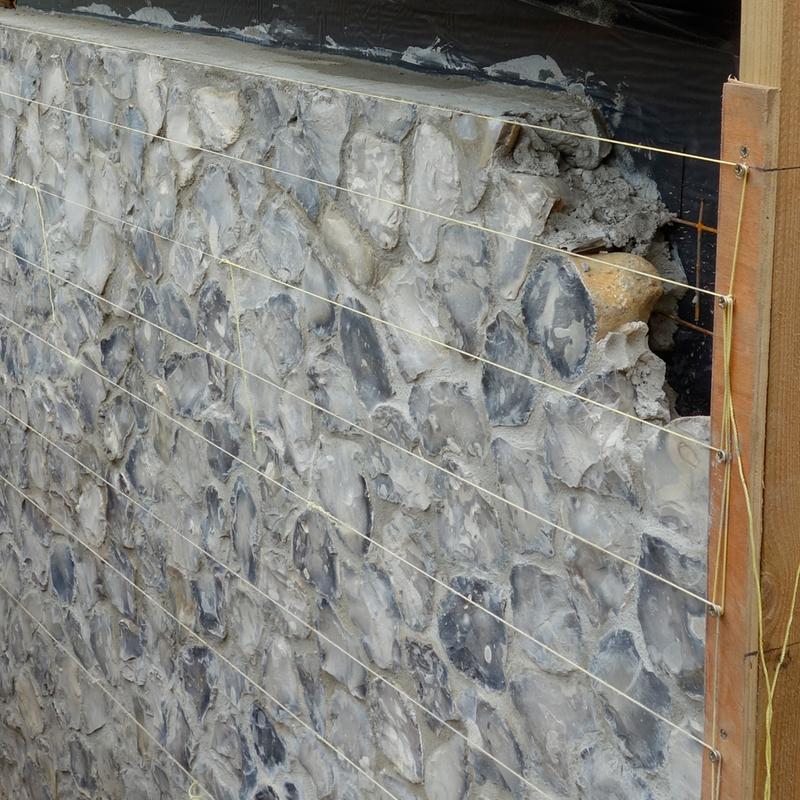 The knapped flint plinth in Aldeburgh is slowly but surely taking shape. Andrew from Builders By Design here exhibiting an impressive capacity for patience and care. 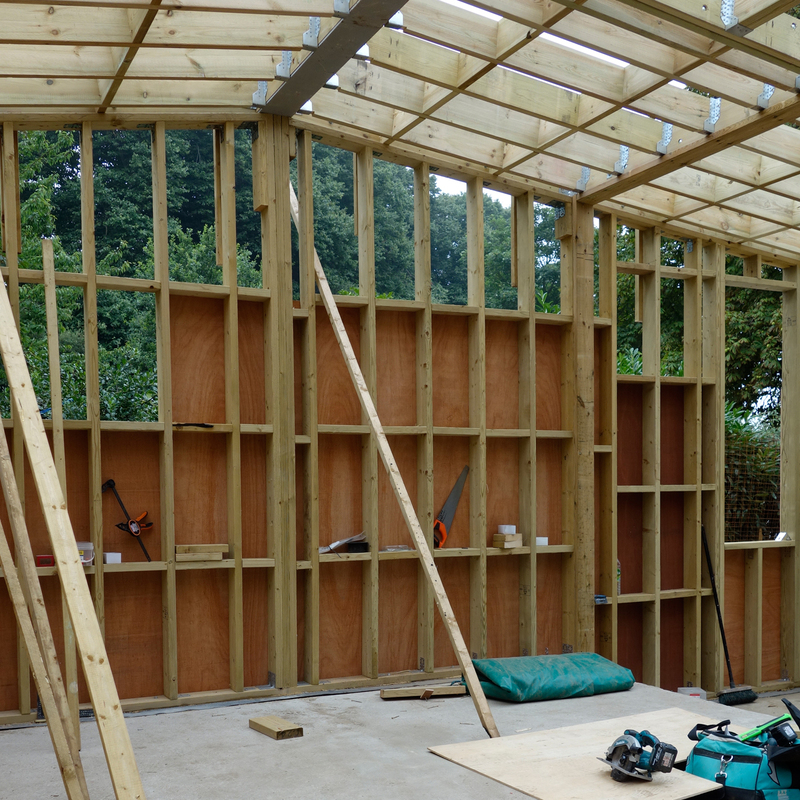 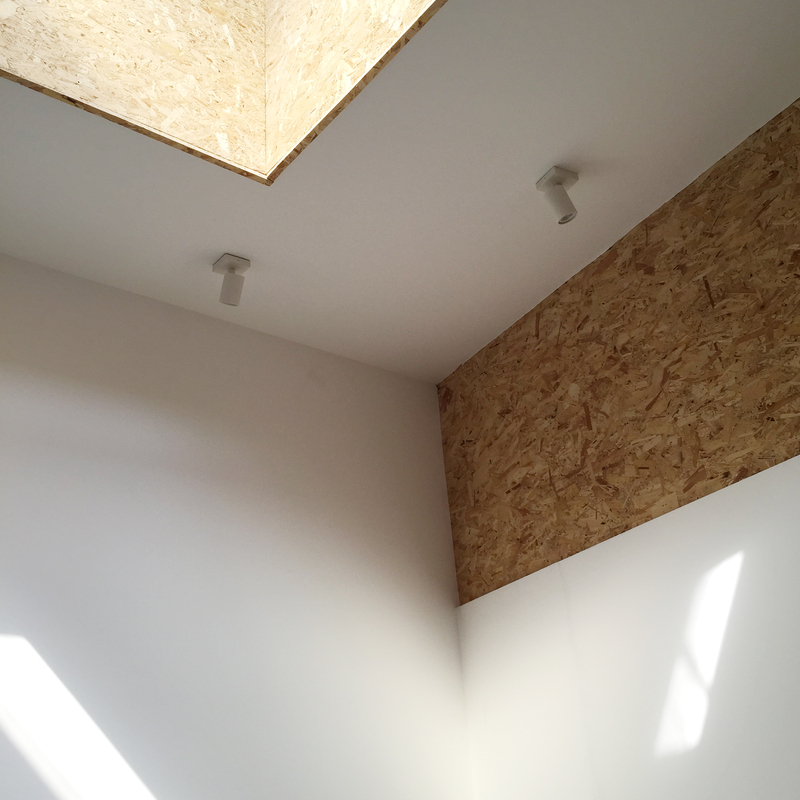 The new workshop space at Cubitt Artists, N1 is nearing completion, ready for their education programme to start in early 2016. Spectacular scaffolder's eye view over North London as Wellfield Avenue's roof construction progresses. The British Council and Qatar Museums Authority, on behalf of Qatar UK 2013 Year of Culture, have confirmed our selection as one of the five shortlisted participants in the Old Doha Prize in Doha, Qatar, November 2013. The Old Doha Prize is a competition that will bring together architects based in Britain and Qatar for a one week design charette, which will take place in Doha from 17-24 November 2013. 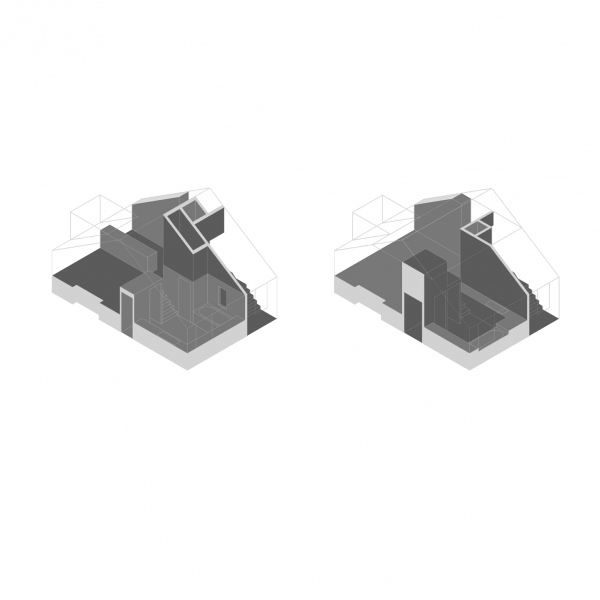 The Old Doha Prize is organised in association with the Royal Institute for British Architects (RIBA) and The Bartlett School of Architecture, UCL in the UK, as well as the Doha Architecture Centre and Msheireb Properties in Qatar. The design charette will offer a chance for UK and Qatar based architects to collaborate, whilst building knowledge and international networks. 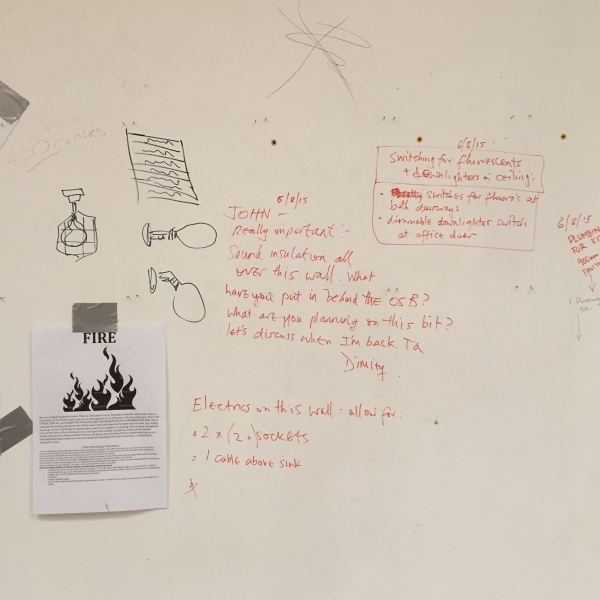 Five teams will research and explore new ways to address the changing urban landscape of Old Doha. 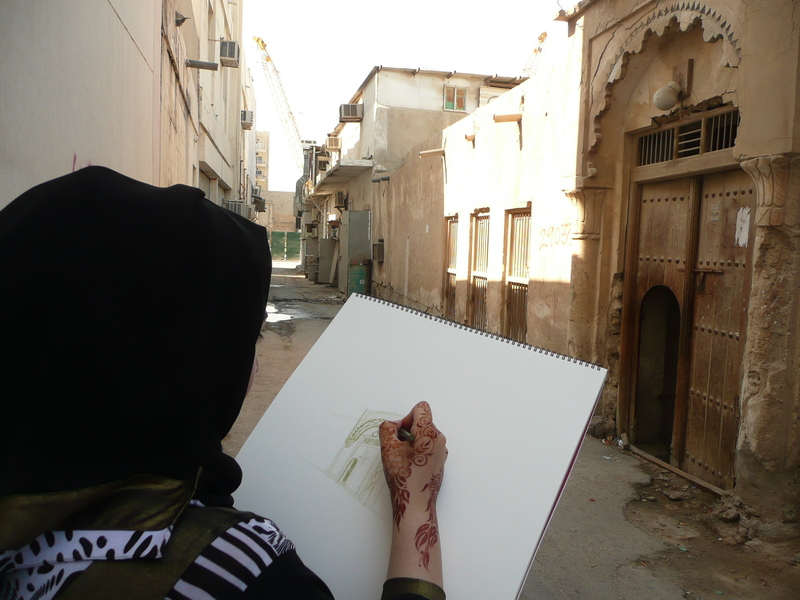 The brief will focus specifically on the neighbourhoods of Al Asmakh and Najada in the heart of Old Doha and will be founded on the principle of Turath Al Hai (Living Heritage). This is the idea that heritage is not something set in history; rather something that continually evolves whilst remaining deeply rooted in the past.